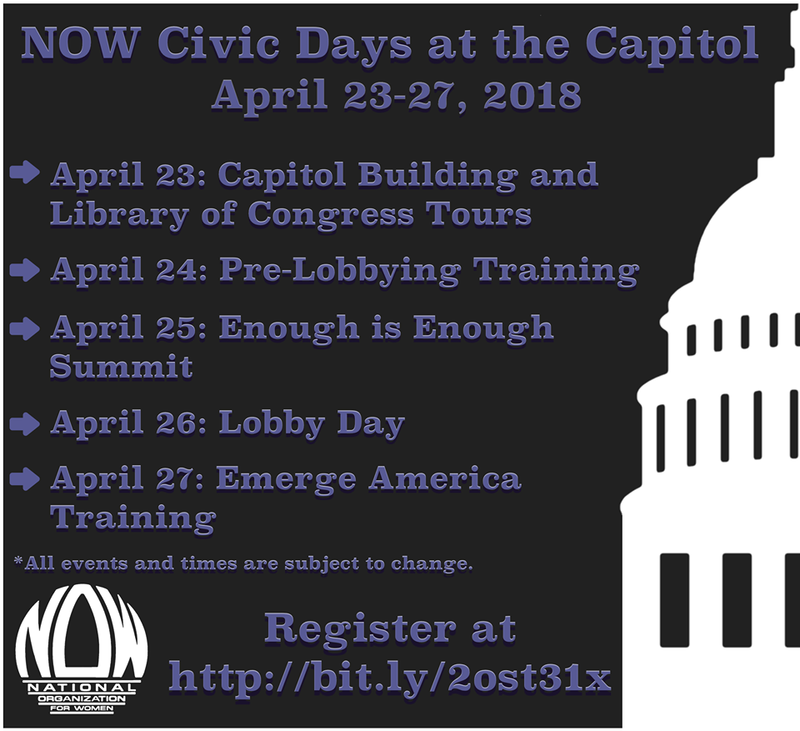 Highlights of the event include tours of the Capitol Visitor Center, Capitol building, and the Library of Congress on April 23, lunch with a congressional staffer on April 24, a group photo in front of the Capitol building, before the summit, on April 25, and Emerge America training on April 27* for those seriously considering running for office or working on a campaign. This entry was posted in #MeToo, abortion, ACA, advocacy, Affordable housing, Courts, economic justice, health care, lobby, reproductive rights, Sexual Assault, training, women and tagged #EnoughIsEnough, #MeToo, lobby, training, women. Bookmark the permalink.